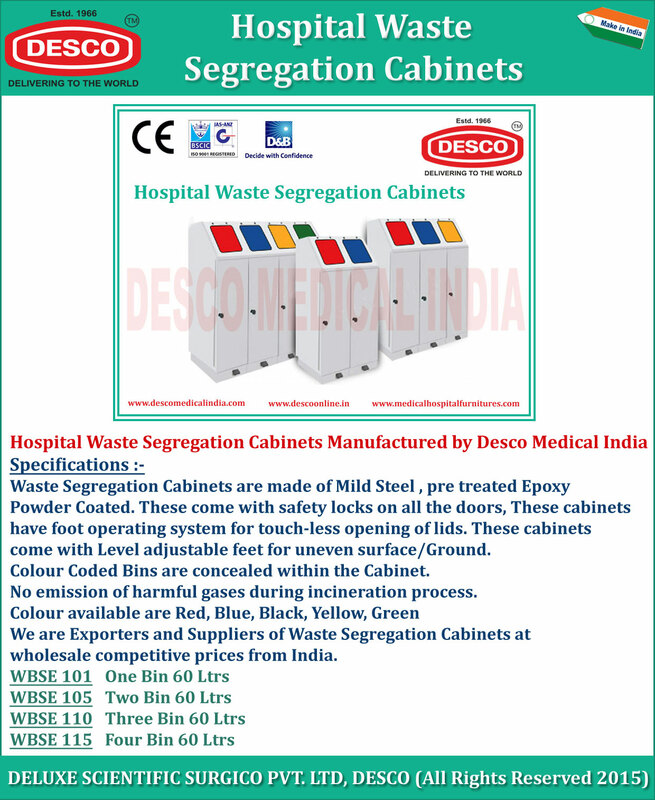 Waste Segregation Cabinets are made of Mild Steel , pre treated Epoxy Powder Coated. These cabinets come with Level adjustable feet for uneven surface/Ground. Colour Coded Bins are concealed within the Cabinet. No emission of harmful gases during incineration process.